Does Veterinary Pet Insurance Make Sense? Two days ago I took a trip down to the pet store to pick up some (prescription) dog food. While I was there I saw a flyer touting the benefits of veterinary pet insurance. It seemed convincing….but is it really worth the cost? According to the North American Pet Health Insurance Association*, pet owners shed $425 million in premiums in 2012. That represents a 70% increase in only 4 years. Bow wow wow! Lots of people think there are big benefits in owning pet insurance. Are they right? Yes and no. People are buying this coverage for their pet in the hopes of slashing their vet bills. But it only works for a small group of people. According to the Investor’s Business Daily and Consumer Reports, premiums are likely to outstrip benefits for people who buy this coverage for healthy animals. That means if you think you can buy this policy and save on routine vet visits you are are barking up the wrong tree. But that doesn’t mean the insurance policy stinks? It does work for those people who own pets that need expensive health care. More specifically, it works for people who would otherwise shell out the big bucks for pet health care. Not everyone would. What to look for in veterinary pet insurance policy. Every policy excludes coverage for certain treatments. Make sure you understand what is included and what isn’t. Read your policy carefully. Make sure the policy is very clear about what payments will be make for various claims. You want this to be crystal clear. The evidence suggests that this insurance is good for catastrophic health issues rather than day-to-day pet care at the vet. That being the case, I suggest you only buy catastrophic care rather than a full policy. It will cost you less and it will probably work out far better for you if you have a claim. 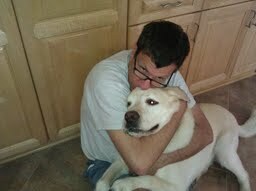 I love my dogs – especially Max. But I realize that his days are not endless. My wife and I discussed it. We know how much we’d spend on vet care for him and where the boundary is. For us, this kind of pet insurance doesn’t make sense. Do you own pet health insurance? Why or why not?